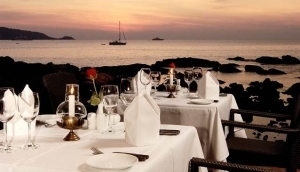 The abundance of Italian restaurants, trattoria and the like on and around Phuket provides many opportunities for dining on various cuisine styles from Italy in different settings and ambiances. Savour traditional and modern dishes - there all to please. Mamma Mia! Wine and dine on your favourite meat and vegetables as well as pizzas and pastas! From beachside and romantic places to dine to laid back pizzerias, Italian food lovers will be satisfied.